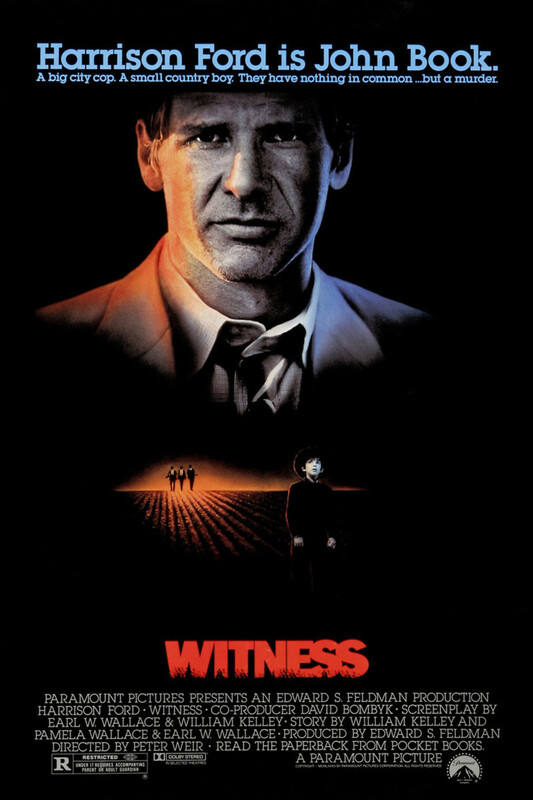 "Witness" involves an Amish widow named Rachel and her young son Samuel, who has the misfortune of witnessing a murder in Philadelphia while traveling to see Rachel's sister. The murderer poses a very real threat to Samuel's life, so in addition to questioning him to try to crack the case, Detective John Book must find a way to keep him and his mother safe. Much of the focus is on the lifestyle of the Amish and how their customs differ from that of the mainstream portion of the population. The detective comes to value their slower, more organic way of life, while Rachel and her son gain an appreciation for certain modern conveniences. Meanwhile, John continues to keep an eye out for the elusive killer.